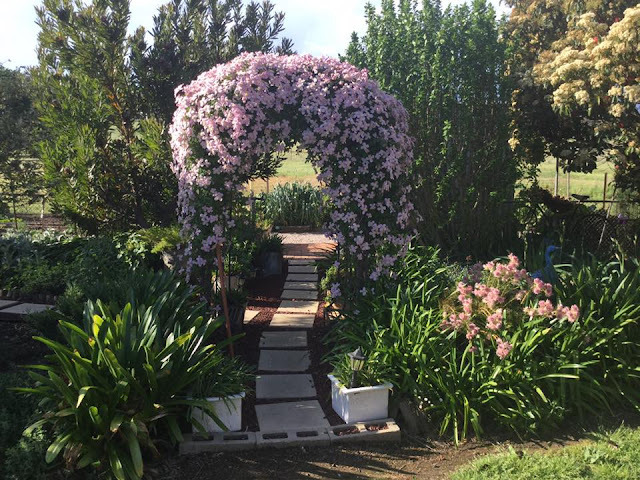 A tree, shrub or creeper/climber can be made into a stunning garden feature as seen above with this lovely arch at 'Windarra' in the Central West of NSW. Trees can be both ornamental and productive. 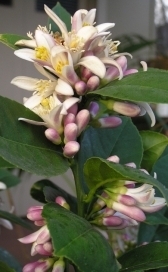 For example a fruit tree can make a terrific statement, especially citrus trees with their beautiful glossy leaves which look good all year long, with the added bonus of the most delightful aroma when in blossom and then the fruit - what could be better? A shrub can be pruned into a hedge or topiary, but it can also be excellent for attracting butterflies, bees and birds into your garden. This Westringia hedge fits the bill for being a feature of this garden bed and also it will attract bees when flowering. Fruit tree care - If you have recently bought a fruit tree in the last six months or so and it is now starting to flower, the kindest thing you can do is to remove the flowers or blossom. This gives the tree a chance to establish a really good root system before it has to pump out a lot of energy producing fruit. This will stand your fruit tree in good stead for years to come..... might be a little difficult to have the patience but you will be rewarded. Our vegetable patches have been ramping out some wonderful produce over the cooler months of the year and it is time for us to decide if we should grow a 'green manure' to rest the bed or dig some good organic material and compost and start our summer crops. See here for an article on the importance of crop rotation in vegetable gardens. If you like to grow strawberries, firstly enrich the soil with generous amounts of well-rotted manure or compost. Strawberries spread as they grow, so allow at least 30cm between plants. Tuck plenty of straw around them as this is a great way to keep them both clean and away from soil borne diseases. As the trusty mower is going to get a real work out over the coming months perhaps it might be best if there was a complete overhaul undertaken now. Please be mindful for your safety by removing the spark plug or battery before you undertake any maintenance. 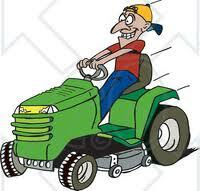 Blades should be sharpened, air filters replaced, throttle mechanism cleaned and lubricated. If you don't feel confident enough to do these jobs yourself drop the mower off to a professional who will have it humming like a bee in no time! 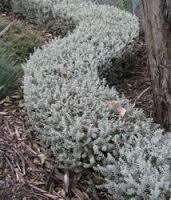 As ornamental trees finish their flowering this season its time to give them a little trim and give them a little feed. It is important to note that grevilleas, banksias and other members of the Proteaceae family DO NOT need any phosphorus fertilizers. These plants have an amazing adaptation known as 'proteoid' or 'cluster' roots. These roots release an acid that is a negatively charged ion, as is phosphorus which is tightly bound to soil particles. This meeting of the two creates an ion exchange, where the citrate dislodges the phosphorus allowing it to be taken up by the roots. Unlike most other plants this group of plants do not stop taking up phosphorus when they have sufficient for their needs, so if phosphorus is added they can actually overindulge and die! The image above is of a Protea King White which is 25cm in diameter! Thank you Bruce for sharing this wonderful image with us.